I have worked for several years as a Hypnotherapist specializing in weight loss and have helped hundreds of people lose weight, and have come up with many paleo weight loss tips. Below is a list of my 12 best paleo weight loss tips. Paleo Weight Loss Tips – 1. Follow a low carb and/or Paleo diet. Following a low carb diet is one of the most powerful paleo weight loss tips. A high protein, low carb diet, with plenty of healthy fat is what has worked best for the majority of my clients. It is best to stick to around 60 grams of carbs a day for paleo weight loss. While calories are important, I have found that it is way more effective focus on carbs. This diet works well for weight loss because protein and fat are very satiating so you don’t get as hungry. It also keeps your blood sugar levels very stable. Read more about the paleo diet here. Paleo Weight Loss Tips – 2. Track your food. Tracking your food intake is one of the best paleo weight loss tips. Unfortunately, most of us eat way more than we think. By logging your food after each meal, you can keep track of how much you are eating. You can either use an iPhone app, type your food into a Word document or write it on paper. For the majority of my clients, the iPhone apps LoseIt and FitBit were the most effective. I had one client who lost 20 pounds and then hit a plateau and had no idea why. Once she started to track her food, it became very clear what the problem was. She was eating very healthy during the week, but had a summer home and found that she was eating too much on the weekends. Having this awareness really helped her to get back on track and lose the rest of the weight. I am currently at my ideal weight but had to keep a food log when I was working with a nutritionist. Even though I eat very healthy, keeping a food log made me aware of ways that I could do even better. I have noticed that my clients who do this get better results. Most people just don’t eat as much when they know they have to write it down. This will help your paleo weight loss. 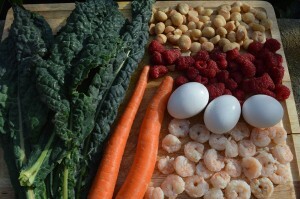 Paleo Weight Loss Tips – 3. Practice Mindful Eating. As far as paleo weight loss tips go, mindful eating is a great way to eat smaller portions without feeling deprived. It is all about slowing down and really focusing on all of the pleasure and enjoyment you are getting from your food. Eating a meal or even a snack should be treated exactly the same way you would treat getting a massage or going to a tropical beach. You would never, ever go to a massage therapist and tell them that you are in a hurry and need for them to finish the massage as soon as possible. You would want to enjoy every moment. You wouldn’t go to a tropical beach and rush through that experience either. It should be the same way with your meals. You should spend a minimum of 20 minutes eating each meal, as it takes the brain a full 20 minutes to even realize that you are full. It is best to chew each bite 20 times or more, set your fork down in between bites and take two long, slow deep breaths before taking the next bite. As you eat each bite, really savor all of the flavors and textures. Please click here to read more about mindful eating and other paleo weight loss tips. Paleo Weight Loss Tips – 4. Engage in Proper Exercise. Engaging in proper exercise is one of the best paleo weight loss tips. You should first check with your doctor before starting any exercise program. Many people who are trying to lose weight think that you should exercise as much as possible. Some people even spend as much as 2 hours a day on the elliptical or treadmill, or other high intensity exercise. This really doesn’t work. This increases your appetite which can cause you to overeat, creates stress hormones in your body, increases inflammation and makes you very tired which makes it hard to keep up such a routine day after day. Mark Sisson, author of the Primal Blueprint calls this chronic cardio. What you should do instead is sprinting and low intensity exercise which will help with your paleo weight loss. Twice a week you should do sprinting. To do a sprinting routine, you’ll exercise on a treadmill, elliptical or stationary bike, or you can run outside. For the first 3 minutes, you exercise at a moderate pace to get warmed up. Then you go all out, as fast as you can for 30 seconds. Then you exercise moderately for 90 seconds, then you go all out for 30 seconds and then moderately for 90 seconds. You repeat this 30 second, 90 second routine 8 times. The whole routine will only take 20 minutes and is way more effective than 2 hours of chronic cardio. The benefits of this are that it is quick, it increases your metabolism, it naturally raises the level of human growth hormones in your body which help you build muscle and lose fat, it enables faster weight loss than most other exercise programs, and it helps to stabilize blood sugar levels. Dr. Mercola calls this routine Peak 8. Here is an article and video demonstration which shows you exactly how to do sprinting and has some more paleo weight loss tips. You should also do 20-30 minutes of low intensity exercise about 3 times a week. 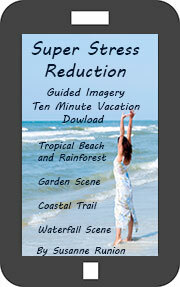 Low intensity exercise are things like walking, hiking, light cycling or yoga. Again, you should check with your doctor before engaging in any exercise program and following these paleo weight loss tips. Paleo Weight Loss Tips – 5. Make Weight Loss a Top Priority. If you really want to lose weight, you need to make weight loss the most important thing in your life. Make a list of all the reasons why you want to lose weight and everything you will gain by losing weight. Remind yourself of these things everyday, and don’t let anything get in your way, not social events, not vacation, not business travel. If you have to go to a social event, eat a high protein, low carb meal before you go so you aren’t tempted to overeat. Drink sparkling water instead of alcohol. If you have a vacation planned, stay somewhere where you’ll have a kitchen so you can be in control of your food. When traveling on business, try to make sure you have a refrigerator, pack healthy snacks such as apples, mini carrots, turkey jerky, protein bars and foil packs of wild tuna or salmon. Stay somewhere where there is a gym. Find time to workout everyday. Use EFT to overcome any blocks. When weight loss is your top priority, you can easily do all of these things, and it makes your paleo weight loss so much easier. In my practice, the people who lose the most weight are the ones who make it a top priority. Paleo Weight Loss Tips – 6. Give up processed foods and diet foods. These foods contains chemicals and additives that impede your weight loss. It is best to stick to whole foods like meats, poultry, fish, eggs, vegetables and low sugar fruits like apples and berries to speed your paleo weight loss. Paleo Weight Loss Tips – 7. Eat organic food as much as possible. Eating organic food is one of the best paleo weight loss tips. Organic foods tend to have more nutrients and taste better. The chemicals and pesticides sprayed on foods can cause food cravings, disrupt metabolism, cause weight gain and water retention. Organic foods also do not contain GMOs. A study in Norway showed that rats that ate a diet of GMO foods ate more and gained more weight than rats that ate non-GMO foods. Since organic foods do not contain GMOs, it is your best defense. Paleo Weight Loss Tips – 8. Avoid Deprivation. Avoiding deprivation is one of the best paleo weight loss tips. I do not advocate deprivation and feel it is really better to have substitutions for the foods you really like. If you tell yourself that you can never eat bread, sweets or potato chips ever again, that is all you will think about. Moderation is really the better way to go. For every food you eliminate, I like to see people have at least one or two alternatives. Kale chips. Kale chips are healthy and are low in calories and carbs. You can make these yourself. All you need is a head of Kale which should be washed and chopped. Sprinkle it with about a tablespoon of olive oil and some sea or himalayan salt. Put them in the oven, preheated to 300 degrees on a roasting pan and roast them for 20 minutes. Then turn them over, and roast for another 20 minutes. They are crispy and crunchy without all of the calories and carbs of foods like potato chips. Seaweed snacks. These are light, healthy and low in carbs and calories. You can buy them here or at a health food store. It is better to buy the ones made with olive oil rather than canola as it is a lot healthier. b. Sweets. When you are craving something sweet, try these healthier alternatives. I don’t recommend using artificial sweeteners, ever. These have been proven to be harmful and don’t help you to lose weight. What I recommend instead is Stevia. It is pretty much the only sweetener that most experts agree is healthy. Some brands have a bitter aftertaste. I recommend using this one, as it has a smoother taste. Gummy bear candy. You can make these yourself using gelatin, low calorie/carb juices or Kevita, and stevia. Click here for recipes and more weight loss tips. Hard candy sweetened with stevia. I recommend this. 1/2 c. Berries. Berries are a healthy choice when you are craving something sweet. They are low in sugar, low in carbs, low in calories and high in anti-oxidants. Zevia. This is soda sweetened with Stevia. You can get this at most health food stores. It has zero calories and carbs and is much better for you than diet soda. Kevita. This is a sparkling coconut water. It is all natural, has probiotics and is low in calories and carbs. Sparkling water with lime and stevia. Miracle noodles or miracle rice. I recommend using miracle noodles, which you can buy here. These noodles and rice are also called Shirataki and are made from the Konjac plant which is very high in fiber. These noodles have zero calories and zero net carbs. As soon as I heard about them, I had to see if all of the hype was true. What I found was that they are actually quite good, they really fill you up, and have a carb-like consistency. They definitely are not as good as wheat or gluten free pasta, but they are really satisfying when you are craving carbs.There are a couple of important things to know before you cook these. First, they have a weird fishy smell, but if you soak them in cold water for 5 minutes before you cook them, it goes away. Next, you need to steam them for a few minutes. Whatever you do, DO NOT eat them at this point. I made this mistake and was really quite horrified. Right after they are steamed they have a bizzare rubbery texture that in no way resembles pasta or rice. What you should do next is put them in a stir fry which can be with vegetables and protein. For some reason this really seems to improve the texture and makes them so much more pasta-like and rice-like. Zucchini, carrot and other vegetable noodles. I recommend getting the spiral vegetable slicer to make these noodles. This device will take almost any vegetable and slice it into thin noodles, very much like spaghetti squash, but without all of the carbs and calories. Don’t get me wrong, spaghetti squash is great and healthy, but these are so much better when you are trying to lose weight. It is best to make the noodles and then to put them in a pan of boiling water for a few minutes to soften them. Zucchini and carrots work really well. Cauliflower rice. What you do is use a cheese grater to grate the rice so it resembles the size and shape of rice. Then you steam the cauliflower, dump it into a collander to drain out the water. Then you put the cauliflower onto a dish towel and squeeze out all of the water. Then you stir fry the cauliflower rice with meat and vegetables. It tastes very much like a rice pilaf without all of carbs. This is a good recipe. d. Pizza. When you are craving pizza, try cauliflower pizza instead. You use grated cauliflower, similar to above, and cheese for the crust. This is a good recipe and you can load it with a ton of vegetables. e. Chocolate. When you are craving chocolate, try 85% dark chocolate instead. It has very little sugar and is very satisfying. The flavor is intense and most people feel satisfied with just a couple of squares. f. Sandwiches. When you are craving a sandwich, try lettuce wraps instead. This post has a lot of great recipes and other weight loss tips. g. Macaroni and cheese. This recipe uses cauliflower instead of pasta. You’ll also find other great weight loss tips on this site. h. Lasagna. You can use any lasagna recipe but use thin slices of zucchini instead of pasta. i. Other Cravings. If there is something else you are craving, and you cannot find a low carb, low calorie substitute, I recommend using EFT to get rid of the craving. EFT is an energy psychology technique designed to get rid of food cravings, negative emotions and limiting beliefs. It is very fast and effective. To learn how to do EFT, read below. I have been known to use it right in the middle of the supermarket to get rid of cravings for chocolate cream filled donuts. Another technique is to use mindful eating. This is one of the top paleo weight loss tips. Sometimes you may decide that you want to eat an unhealthy food. There might not be a healthier substitute available. I am okay with doing this once in a while, because like said, I am very against people feeling deprived. What you can do is eat a very small portion, but eat it very mindfully and slowly, taking tiny, tiny bites, chewing eat bite at least 20 times and savoring each mouthful. It is a natural way to feel satisfied eating less. Click here for more information about mindful eating. These food substitutions will help you with your paleo weight loss. Paleo Weight Loss Tips – 9. EFT. EFT is one of the top weight loss tips. EFT is a great tool to get rid of food cravings, past traumas, be more motivated to exercise and stay on track. EFT is a technique based on the principles of acupuncture that works by stimulating certain acupuncture points while saying certain words. It is great for clearing blocks, negative emotions and food cravings out of your energy field. It is very effective and easy to learn. To learn how to do it, click here. Paleo Weight Loss Tips – 10. Love yourself more. Loving yourself more is one of the best weight loss tips. One of the major reasons why people overeat, don’t exercise and engage in other self-sabotaging behaviors is because they don’t love themselves enough. If this is you, one of the best ways to change this is to read the book, Love Yourself Like Your Life Depends on It. This is a short, simple, profound book that will only take you about an hour to read. It is about a Silicon Valley Engineer who hit rock bottom. His business was failing, his girlfriend dumped him, a close friend died and he developed a serious illness. Many days he didn’t even get out of bed or open the curtains and see the light of day. One day, he intuitively got the idea to repeat the mantra, “I love myself” over and over again. This, along with some other simple techniques, completely changed his life, and he got better. This book is all about his incredible journey out of despair and darkness by simply choosing to love himself and is filled with great, easy techniques. When we truly love ourselves, we simply want to eat healthy foods, exercise, and take care of ourselves. This book really changed my life and I highly recommend it. It will help you with your paleo weight loss goals. Paleo Weight Loss Tips – 11. Get Enough Sleep. Getting enough sleep is one of the top paleo weight loss tips. How much you sleep affects your weight loss. The average person needs around 7.5 hours of sleep a night. When people get less than this, it really affects their metabolism. Also, when people are tired, they tend to drink a lot of caffeine and sugar which in turn makes it harder to fall asleep the next night. It becomes a negative cycle that needs to be broken. If you are already getting 7 hours of sleep a night, an extra hour will probably not make a dramatic difference; however, if you are only sleeping 5 or 6 hours a night and then suddenly start getting 7.5 hours, you will start to lose more weight. The reasons for this have to do with the hormones, ghrelin and leptin. Ghelrin is increased when you are not getting enough sleep and this is the hormone that tells you when to eat. The hormone leptin is decreased when you are not getting enough sleep and this is the hormone that tells you to stop eating. So when you are sleep-deprived, you have more ghrelin and less leptin and this leads to weight gain. You are not only eating more when you don’t get enough sleep but your metabolism is also lower. For tips on how to sleep better, check out my sleep post. 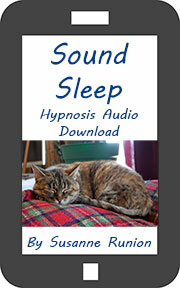 I also have a sleep hypnosis recording available. Paleo Weight Loss Tips – 12. Try Hypnosis. Hypnosis has been proven to work for weight loss and it is one of the most powerful paleo weight loss tips. While dieting and exercise focus on the outer issues, hypnosis focuses on the inner issues. Working with a professional Hypnotherapist can help you to discover what has been blocking you from losing weight, release past traumas that might be causing you to overeat, get rid of food cravings, increase self esteem and be able to love and accept yourself more. You can also listen to hypnosis recordings or CDs. As I’ve mentioned, I am a Certified Hypnotherapist and specialize in weight loss. For more information about my practice and more weight loss tips, go to www.sanfranciscohypnosisclinic.com. I also have weight loss hypnosis recordings available here. Please sign up for my free newsletter below so that you’ll get all future paleo weight loss tips.